The intersection of Third Street and Hetherton Street is one of the most heavily congested in not only San Rafael but in the County of Marin. 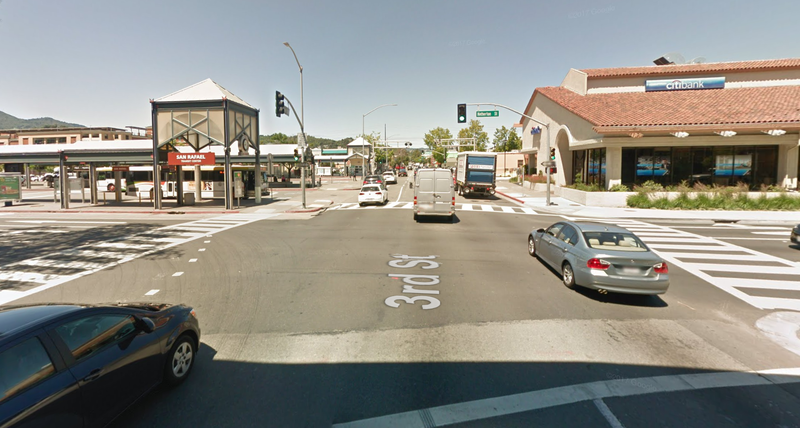 Additionally, the intersection is well traversed by pedestrians due to its central location to Downtown San Rafael, the Montecito Neighborhood, and the Transit Center. To improve pedestrian safety at the intersection, the City hired a consultant, Kimley-Horn and Associates, to conduct a traffic study. The goal was to develop a concept plan that would increase pedestrian safety while minimizing traffic impact. Feedback from the San Rafael Bicycle and Pedestrian Advisory Committee, the Federation of San Rafael Neighborhoods, and the Point San Pedro Road Coalition have been incorporated into the report. The Final Report will be presented to City Council at the July 2, 2018 meeting.